16 oz tank measurements: 2 3/8 H x 2 11/16 W x 5 7/8 Long. Du-Bro Fuel Tanks are designed to be tough! Our fuel tanks will not split or crack from vibration or pressure. In fact, our fuel tanks can be used with pressurized fuel systems! Comes complete with all hardware, including our one piece clunk with fuel barbs built right on the clunk stem. Your fuel tubing will not slide off! 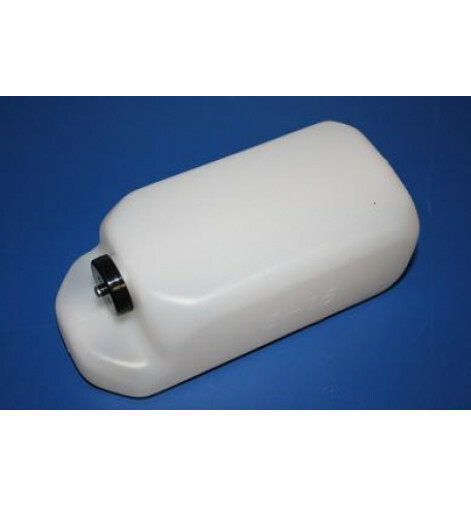 Du-BroFuel Tanks can be used with either glo-fuel or gasoline. #400 Gasoline Conversion Stopper included. 24 oz tank measurements: 2 1/2 H x 3 1/16 W x 7 1/2 Long. Du-Bro Fuel Tanks are designed to be tough! Our fuel tanks will not split or crack from vibration or pressure. In fact, our fuel tanks can be used with pressurized fuel systems! Comes complete with all hardware, including our one piece clunk with fuel barbs built right on the clunk stem. Your fuel tubing will not slide off! 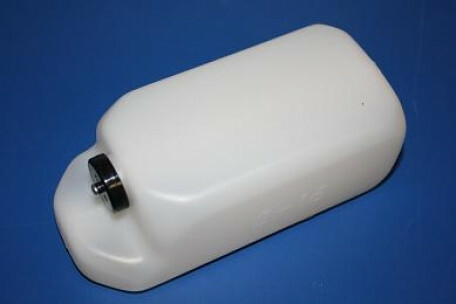 Du-BroFuel Tanks can be used with either glo-fuel or gasoline. #400 Gasoline Conversion Stopper included. 50 oz tank measurements: 3.5" H x 4.375" W x 8.375 Long. Items #690-692 come complete with stopper and fuel tubing for both gas and glo fuel and proportionally larger brass tubing and clunk. Du-Bro Fuel Tanks are designed to be tough! Our fuel tanks will not split or crack from vibration or pressure. In fact, our fuel tanks can be used with pressurized fuel systems! DU-BRO Fuel Tanks are legendary for being durable and reliable. In more than 25 years, there has never been a failure of a DU-BRO Tank. This is because the process and material used are superior to most other tanks on the market. To understand this completely, you would need to know a bit about the process of blow-molding, but let’s just say we could have faster production times and more profit in our pockets if we cut some corners…but that is not the DU-BRO way! Our new Big Fuel Tanks are no different than all of our smaller tanks in that we maintain our strict level of quality control and dedication to making a reliable tank for your large scale aircraft. What does this mean for you? Now you can enjoy longer flight times with less refueling, more time for go-arounds while practicing or competing and you will be watching the aircraft more and the clock less knowing you have plenty of fuel on board. Plus, as all of our other tanks can be, the Big Tanks can be used with pressurized fuel systems. All this performance and reliability, and we even include all the needed hardware! Non-Pressurized Size: 11.625" X 3.625" X 5.25"
Pressurized Size @6 PSI: 12.035" X 4.99" X 5.7"